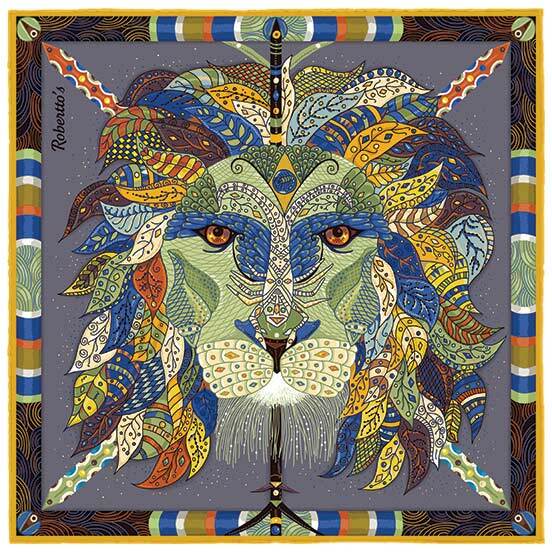 Few creatures in this world fascinate us quite as much as lions do. These majestic beasts, with their flowing manes, powerful bodies and astonishing hunting abilities represent everything we admire about the animal kingdom: grace, poise, danger and strength. 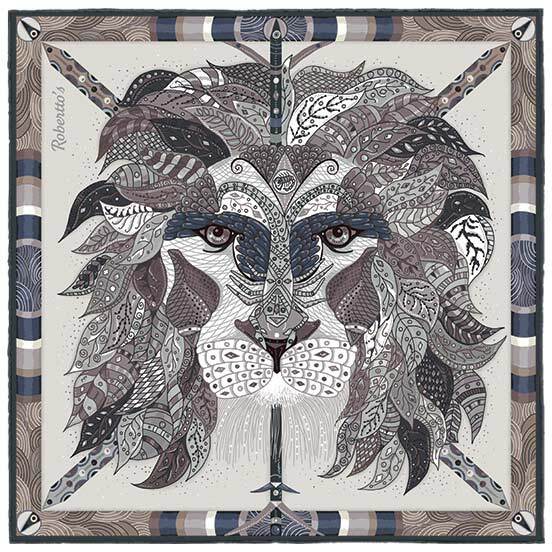 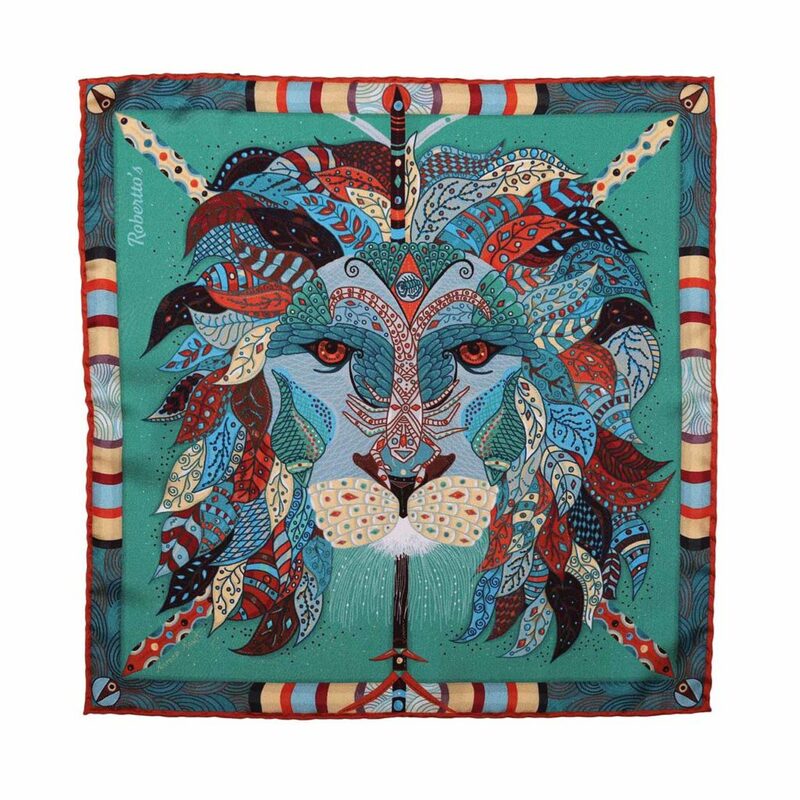 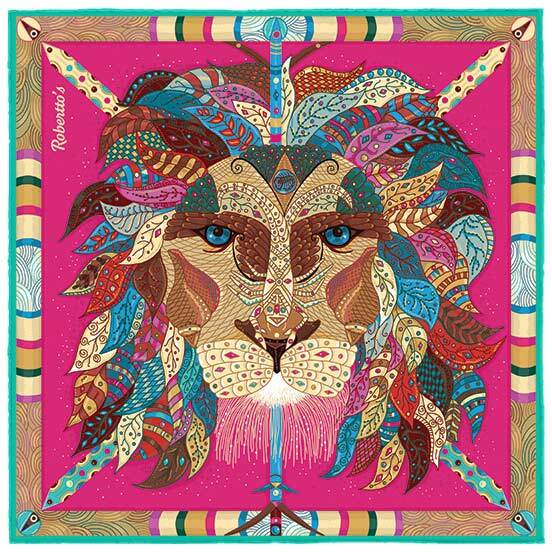 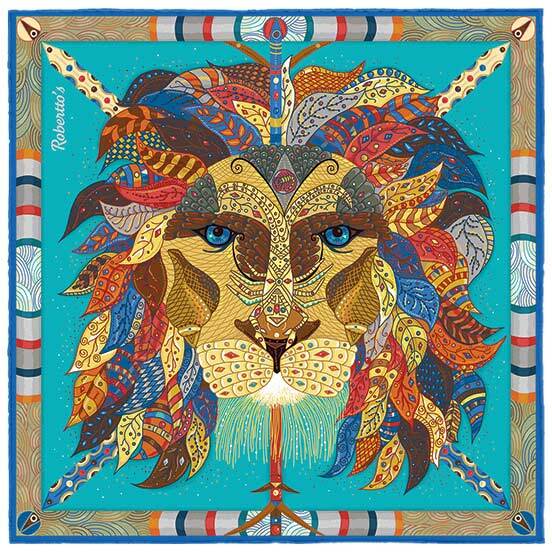 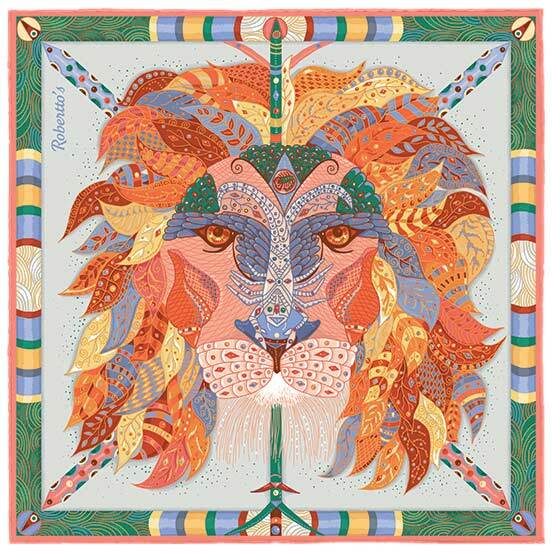 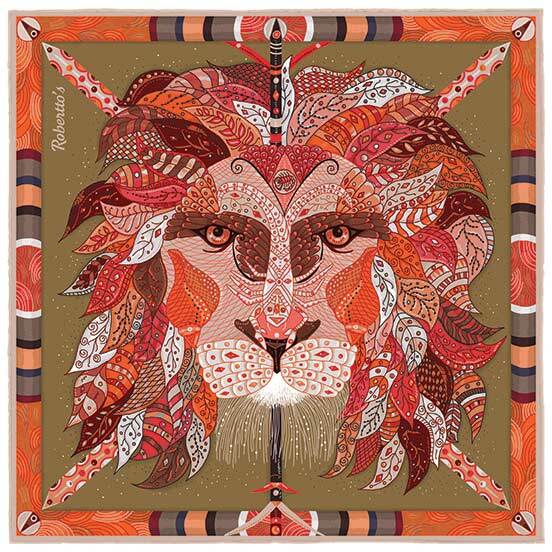 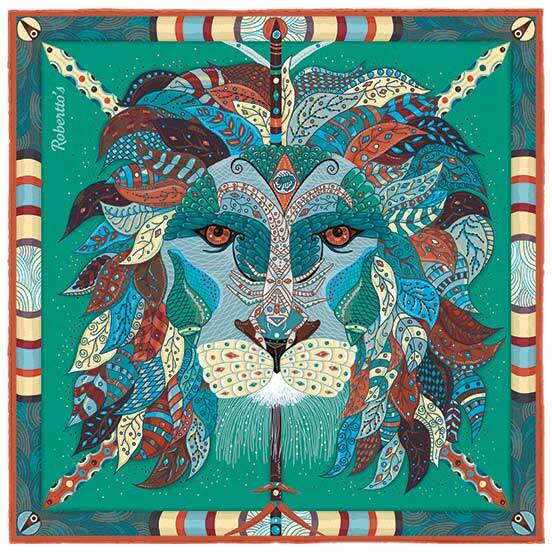 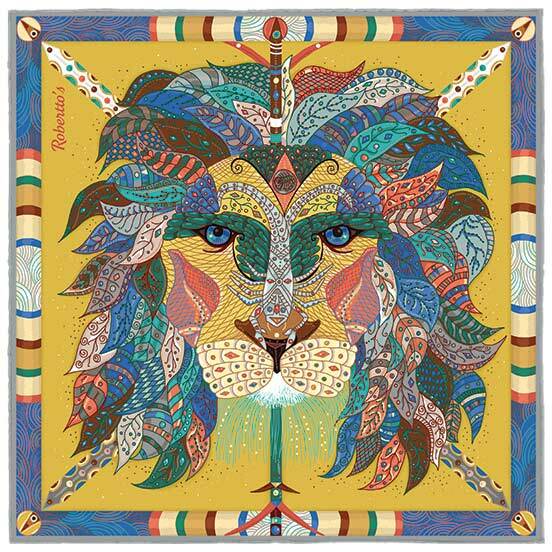 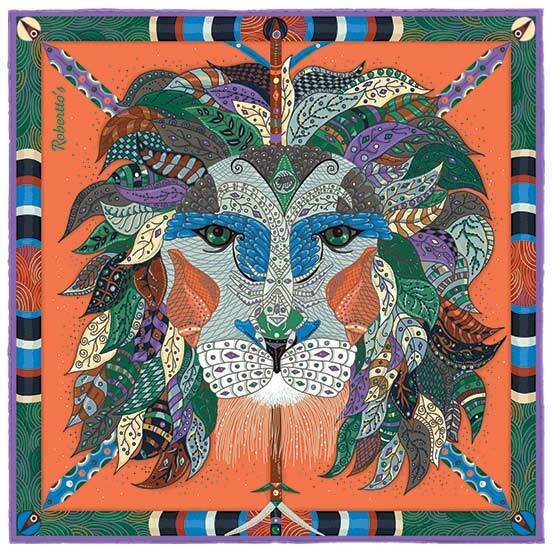 As such, they make a highly fitting subject for a high quality pocket square, and this design takes the essence of the lion and transforms it into a decorative work of wearable art. 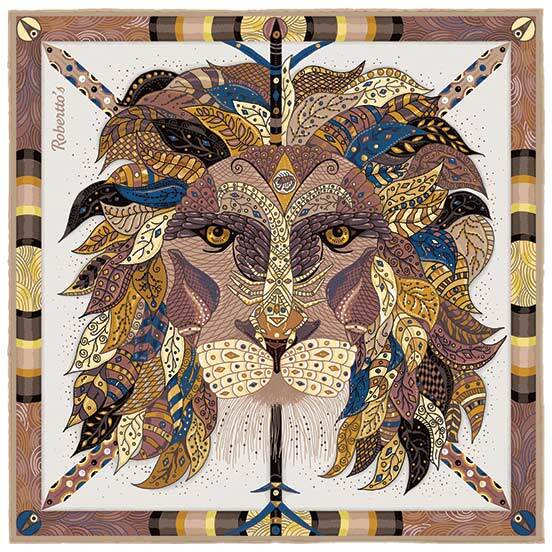 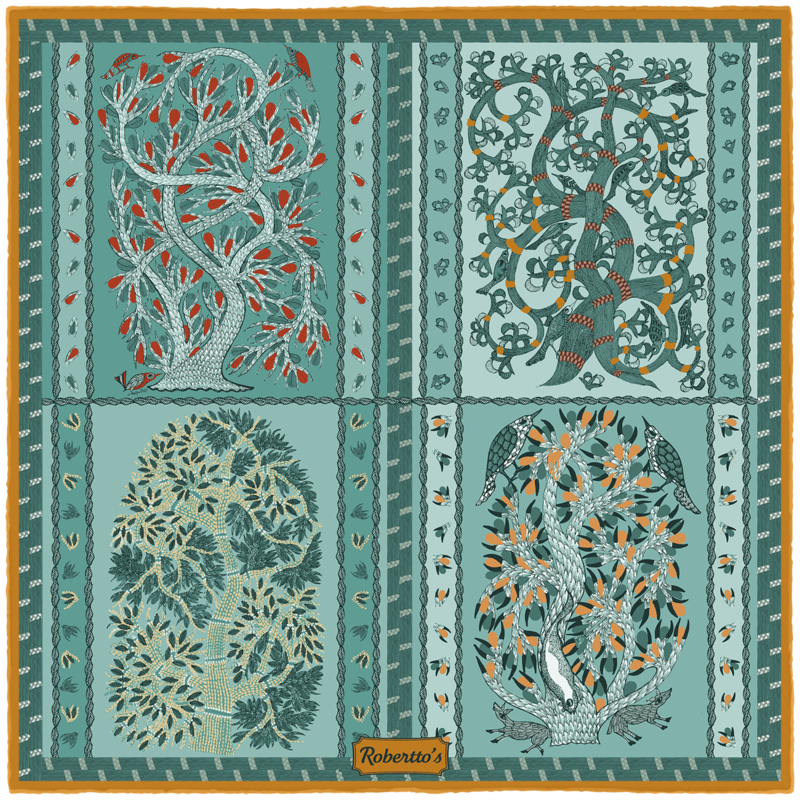 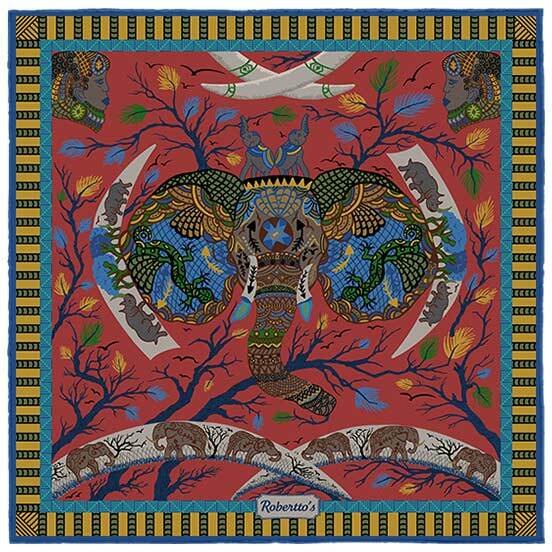 Taking inspiration from oriental patterns, our regal cat explodes in a shower of bejeweled locks of hair, intricate paisley leaves and eyes like twin diamonds – this silk pocket square captures the exquisite beauty of the lion, and takes it in a new, exciting creative direction. 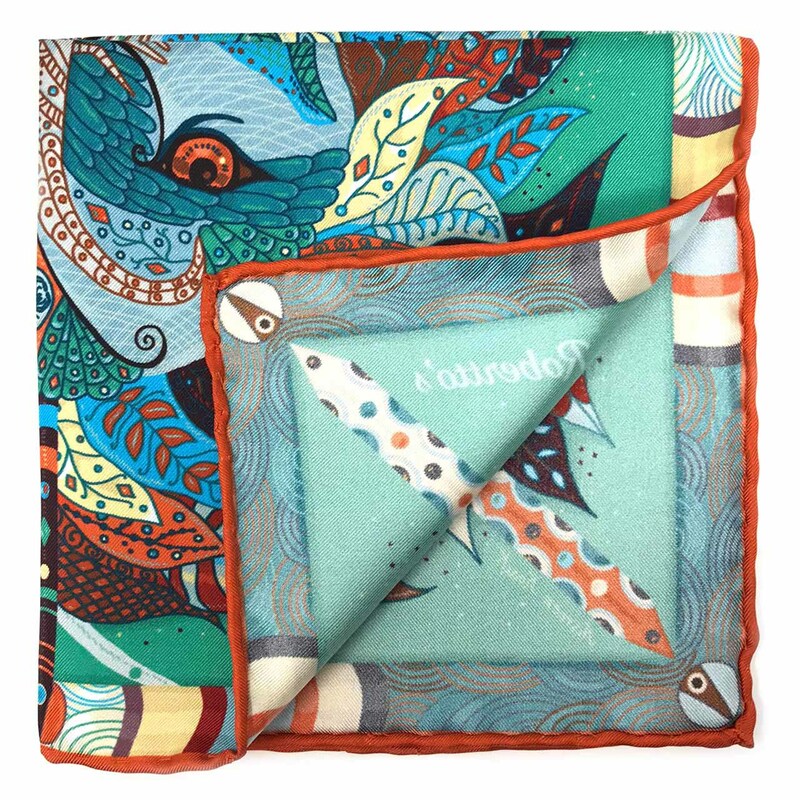 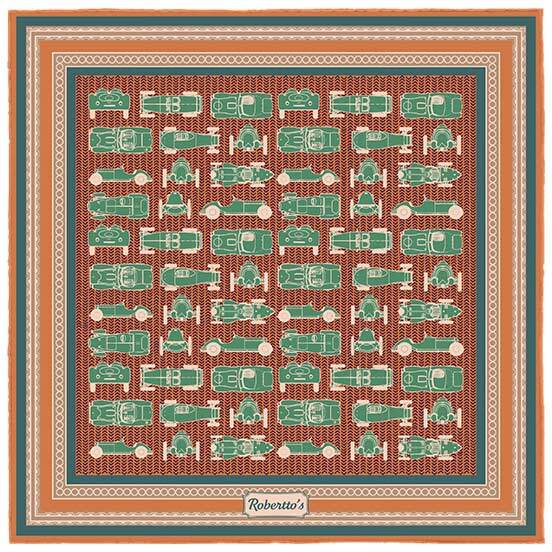 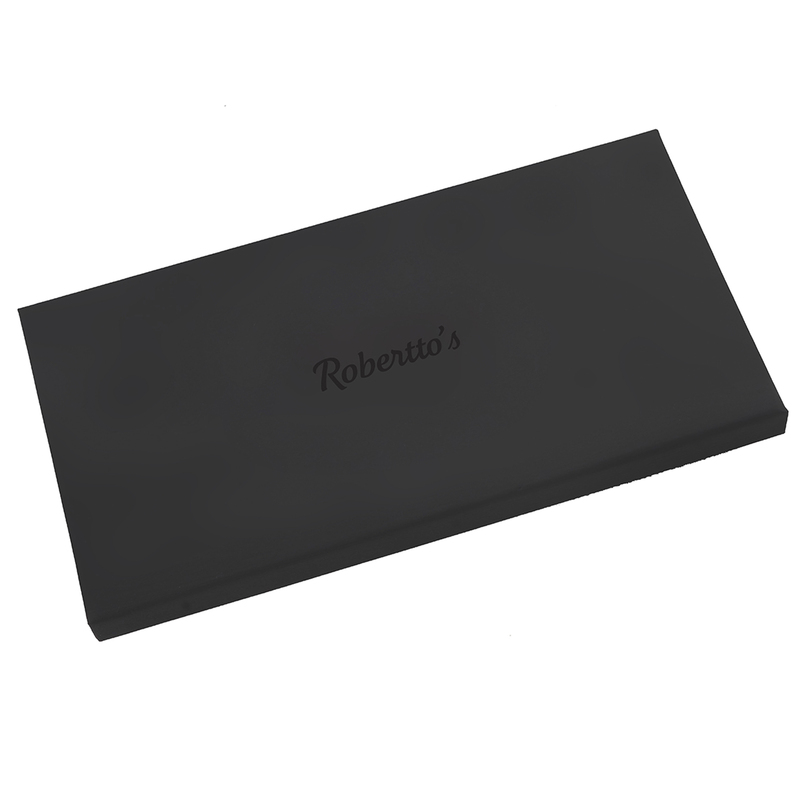 Pocket handkerchiefs are the perfect accessory for adding a flourish of color to an outfit, and with this unique and sensational design, there is ample opportunity for livening up any outfit, and turning it into something truly special. The boldness of the turquoise background, brick colored hand-rolled hem and teal, maroon and sky blue lion on this stunning pocket square is a joy to behold, and would no doubt turn heads and grab plenty of attention when added to any outfit. 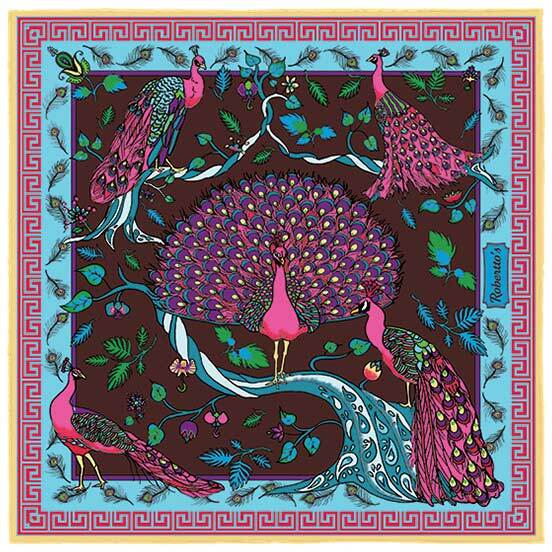 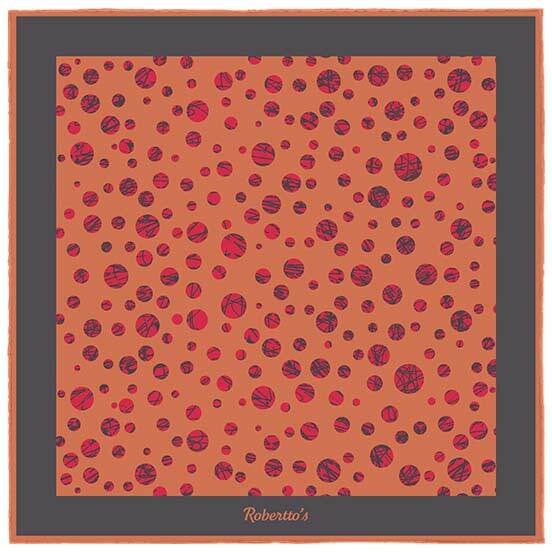 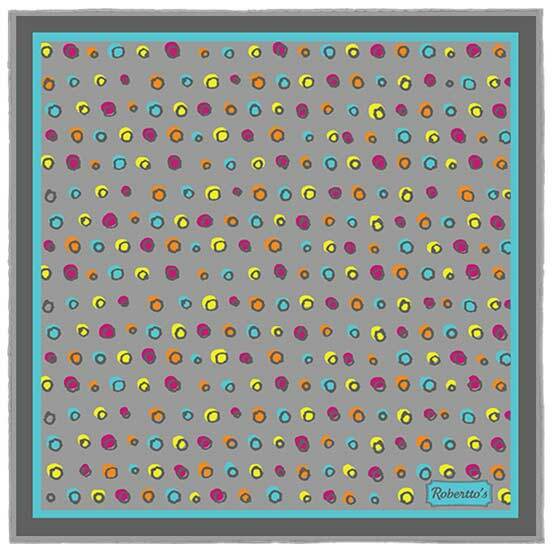 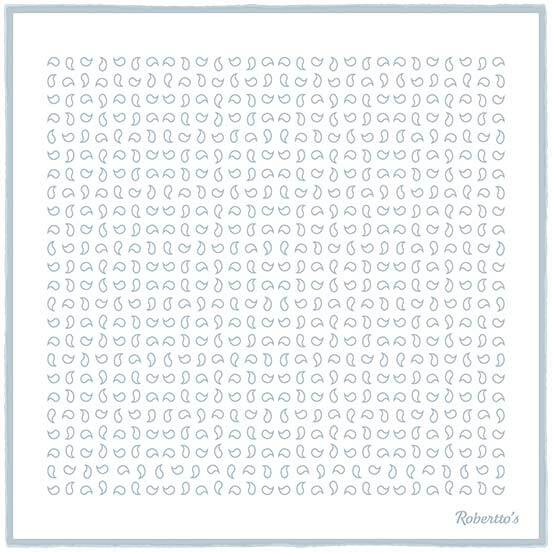 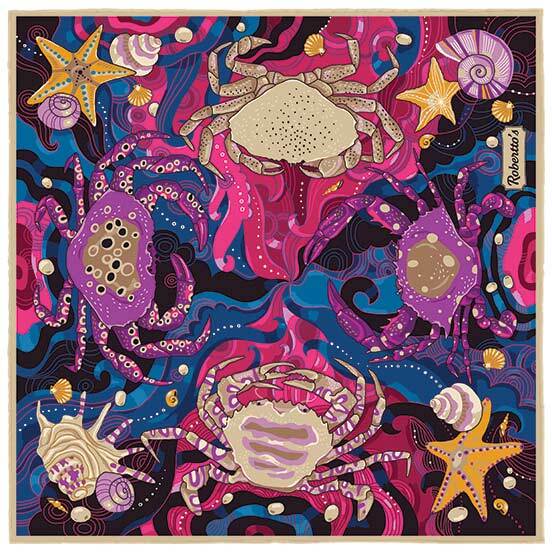 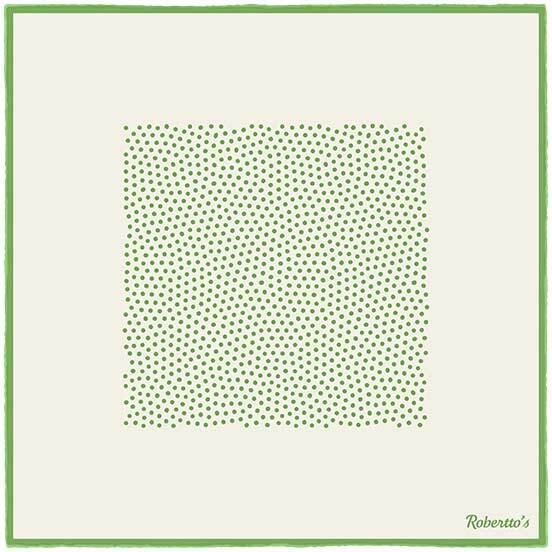 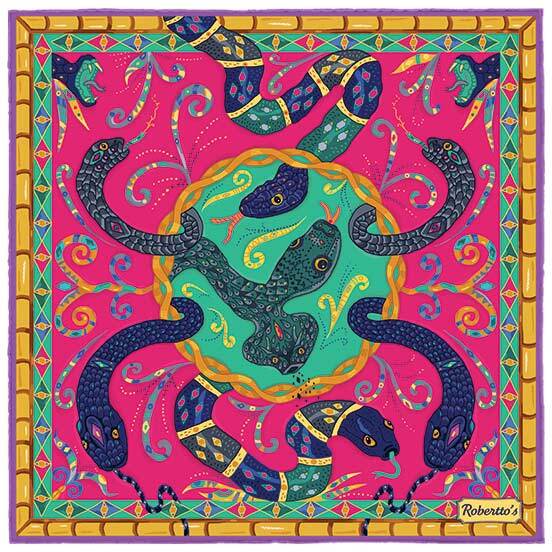 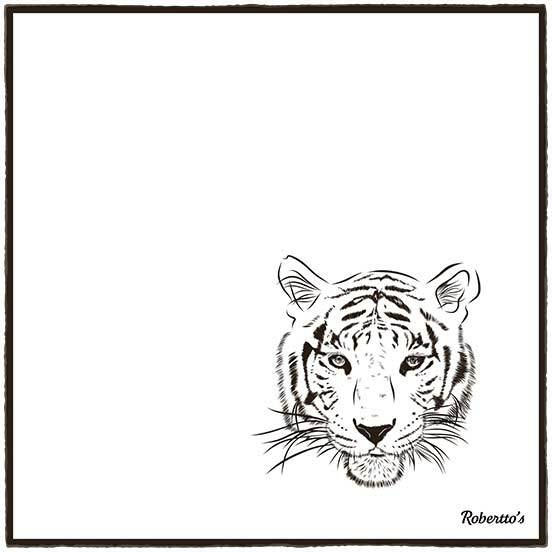 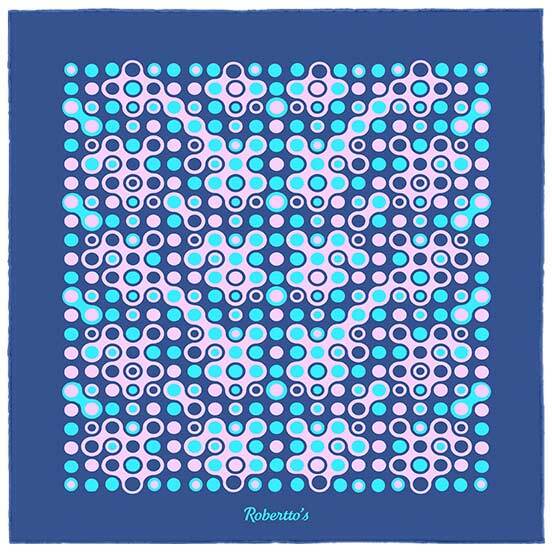 A silk pocket square such as this one provides the wearer with a perfect opportunity to express their unique style, and in this case, some big statements regarding their fashion sense. 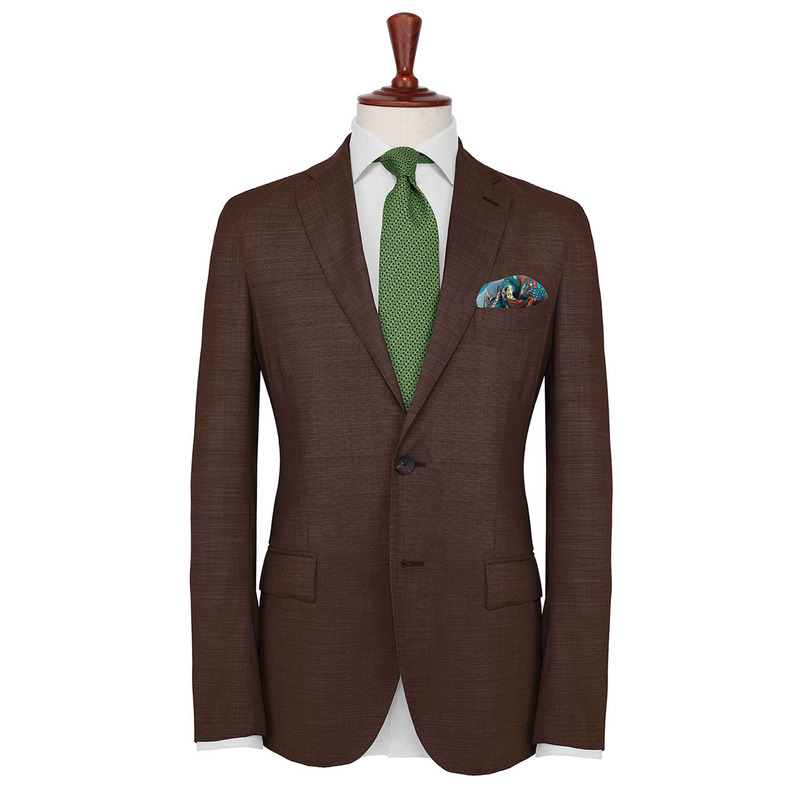 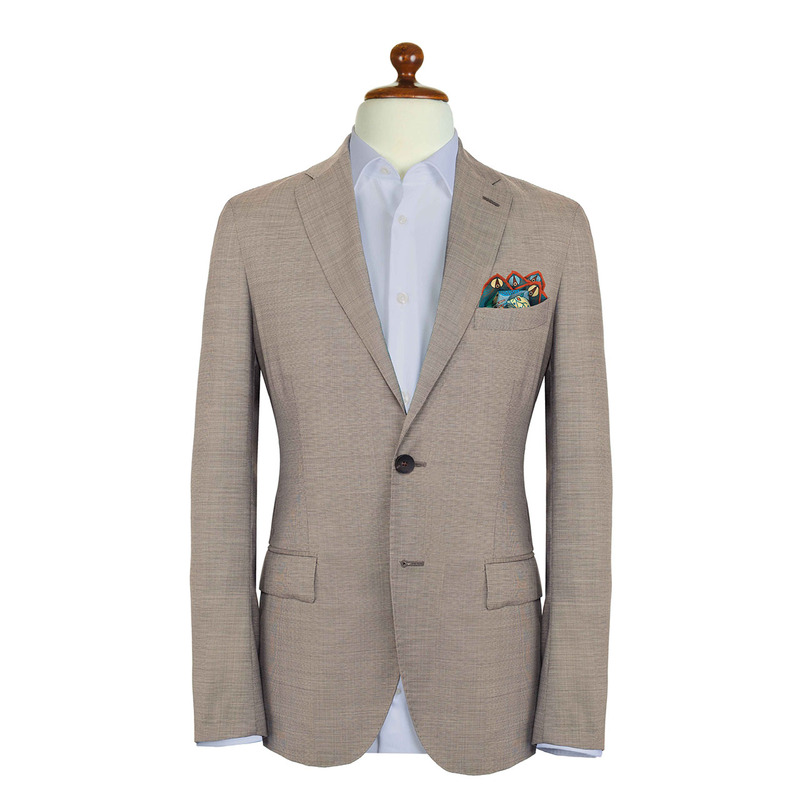 Perfect with several outfits, though it perhaps would look most striking when paired with a grey blazer, a pale blue shirt, and a pair of navy blue jeans.